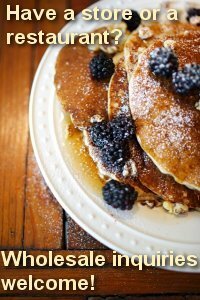 Cowboy Tom’s Flapjacks are made the old fashioned way with a blend of dry ingredients and unprocessed grain, including whole wheat or gluten-free teff or buckwheat (not actually a wheat product). All you do is add an egg and milk and then blend! The results are delicious, light, fluffy, golden brown flapjacks that are a true treat to your taste buds…and they’re good for you too! Cowboy Tom Flapjacks are always TASTY, FRESH and HEALTHY thanks to our fresh, organic ingredients and our “Just in Time Grind” philosophy. Send gifts to your family and friends by ordering online! 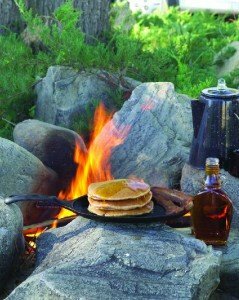 We are sure that you and your loved ones will LOVE Cowboy Tom’s Flapjacks, FLAXjacks, Teffjacks, Lip Lickin’ Country Maple Syrup and our story book, “The Legend of Cowboy Tom”. Bet your boots you’ll want more! Includes the Original storybook "The Legend of Cowboy Tom"
Gluten free Brown Teff is a sweet tasting grain - unlike any other. These are the best flapjacks I've ever tasted. I should know because I had some nearly every day at market. Awesome products! !